In the last 3 decades, computers have changed our lives and this is especially true in terms of profession. We don’t really see a profession where a computer is not involved directly or indirectly. It has made things easy for people and it is quite efficient as well. Computers have also come a long way in terms of technology in the last 3 decades. From bulky machines to handheld devices with touch screens and an amazing user interface, the journey had been long. There had been a lot of improvement in terms of computing power as well. Today, the computing power of a system is 3 GHz on an average whereas some of the initial computers had a computing power of few MHz The cost of storage has decreased and the size of storage has increased. Earlier, the storages sizes in GBs were very expensive but today, you have multiple GBs of space on your phones, tablets, laptops and personal computers. So, you would surely agree with the benefits of Computer but do you know that your computer also comes with a lot of disadvantages as well. Yes, that is right, the computer has a lot of disadvantages as well. In this article, we are going to talk about the advantages and disadvantages of computers and we will start by talking about the good part first. One thing which computer really helps us in is taking us online. This fact is undeniable that we can’t imagine the world without the internet. The computer is that machine which takes you online. You do not have to wait for mails for weeks now. The emails are sent instantly and you receive them within a few Computers have also brought down the cost of communication and it has made everything easy. You can order food with the help of a computer, you can order products with the help of a computer and there is hardly anything which your machine can’t achieve. Games had been there since the initial computers were launched and they surely help you in staying entertained. There is one change however, the change is that the computers are not able to support games with 3D and high definition graphics. This is made possible because of the processing power of computers, RAMs and powerful GPUs which are now a part of this machine. You don’t really need a gaming console if you have a powerful computer to play the games. Computers have also made work easy for people. It enables people to transact, prepare presentations and work on almost anything. The complex calculations can be solved on a computer without any help. In addition to this, Computers have also created a lot of jobs and there is industry dedicated to this. IT industry is popular across the globe and this industry is made possible because of the computer and because of the need of applications on this computer. Earlier, there was a lot of documentation required to get any job done but today, everything is digitalized. This is especially true for government offices which used to maintain files for everything. Today, there is no physical storage required to keep those files safe and in addition to this, everything is just a button click away from you. In this aspect, Computers have surely changed things for people. These were some of the advantages of computers and now, let us look at some of the disadvantages of computers. So, here we go. With an increase in technology, the fraudsters have also digitalized. There are cases of hacking and there are cases of data theft as well. You need virus protection and many other protections to ensure that your data remains safe on your computer. There can also be data loss if the hard disk of your computer crashes but this is being dealt with help of Cloud Storage. There had been a rise in cyber crimes and financial frauds. Since the banking systems are also based online, a lot of people report online financial frauds. The fraudsters are finding new ways to scam the people and extract money out of them. This is surely a disadvantage that comes with computers. Because people love to spend time playing games on the computer and communicating on social media, the social life of people is greatly impacted. Instead of playing Football in the park, children have been involved in playing Fifa on the computer. This reduced level of physical activity is a cause of concern. It is also possible to spread and receive incorrect and unverified information via the internet. This is not something new and hence people need to be really responsible before they share any news which they are not sure of. 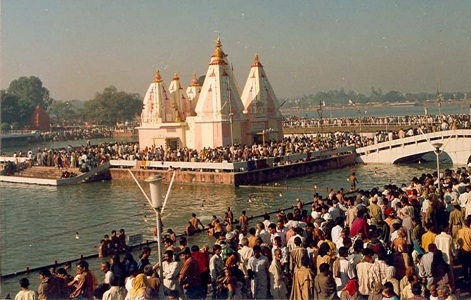 This has the ability to cause communal riots and unrest in the country. With increased usage of the computer, a lot of people also face certain health issues. The weak eyesight is common because of the fact that eyes are strained due to exposure to the screen. Other health issues include issues with backbones and obesity because of the low physical activity levels in people. 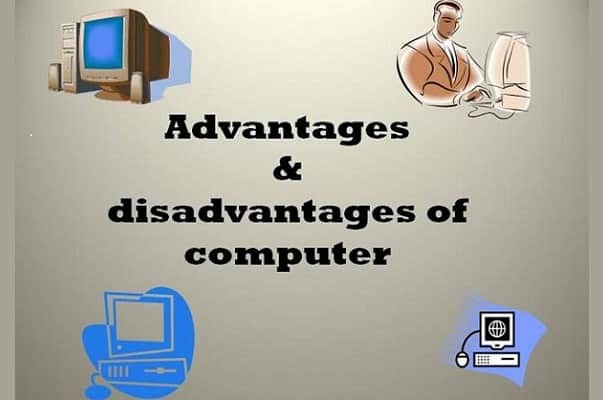 These were some of the advantages and disadvantages of the computer. Just like any other technology, the computer also has two sides and it is really upto people on how they use the technology.